Legal marijuana has resulted in an uptick in supply, which, as Bloomberg News recently reported, has dampened the profits of marijuana growers, who are seeing the price of pot plunge. However, as the report indicated, this may be an opportunity for companies that are able to carve out a niche by cutting production costs for cultivators. Once-illicit growers have been banking on some degree of legalization, investing millions in facilities and factors that can help in the growth and processing of the drug. But there has been stiff competition in the marketplace, and that has driven down the average cost that wholesalers are willing to pay – now down to about $1,300 a pound in Denver since January 2014, when sales to all over-21 adults became legal in Colorado. That’s a nearly 50 percent drop in a span of just two years. As supply of the drug has ballooned, growers are now looking to invest in the latest-and-greatest technology to help them cut down on their turnaround time. Any marijuana business that can help growers focus on efficiency is going to find themselves an edge in the market. Industry insiders say efficiency in production can result in costs that are slashed from roughly $1,000 a pound to about $300. Of course, retail prices are slipping too, but not nearly as fast as on the wholesale market. Colorado marijuana dispensaries were charging an average of $6.61 for every gram of marijuana as of last fall, which was a 25 percent drop from the first quarter after legalization. Of course, there is money to be made still. It’s estimated North America sales of the drug could triple to about $20 billion just over the next five years. However, what it also means is that any marijuana business that wants to have a real shot at competing needs to be invested in good technology that helps bolster efficient production and sales. 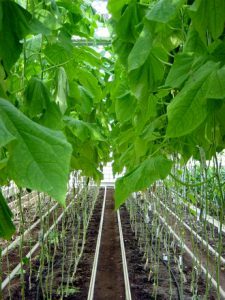 Companies that specialize in lights, fertilizers and other necessities for hydroponic growth (the method favored by indoor growers) are going to be in increasingly high demand. There is also an increasing demand for companies that can help growers with outdoor crops. Although decades of anti-marijuana law has meant growers are most familiar with indoor production, outdoor growth – specifically greenhouse supplies – are going to be in greater demand. That’s because this method is generally deemed more efficient and lower cost. A greenhouse that features a glass ceiling, insulated walls and climate control could require half the energy costs of a typical warehouse production system. But getting there, of course, isn’t cheap. Some growers are investing tens of millions of dollars to create a top-notch facility that can be more efficient. That usually requires loans and investors. Any marijuana business seeking to carve out an edge or a niche should consult with an experienced marijuana business lawyer who can help with navigation through any legal concerns. Run afoul of state statutes or regulations – not to mention federal laws – and it could quickly mean the end of the business, not to mention a risk of losing one’s freedom. Tagged: California marijuana and marijuana attorneys L.A.